Oh my Goodness! 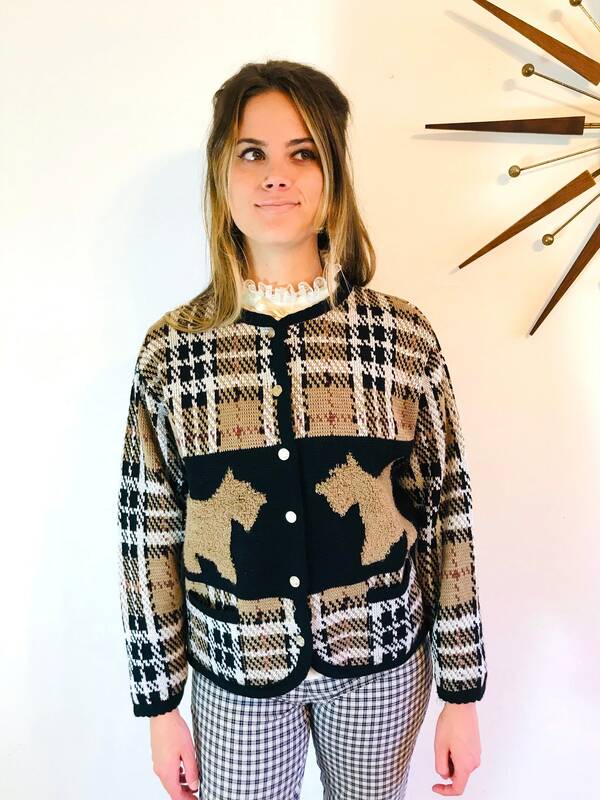 I love this vintage 60s Scotty Dog sweater! 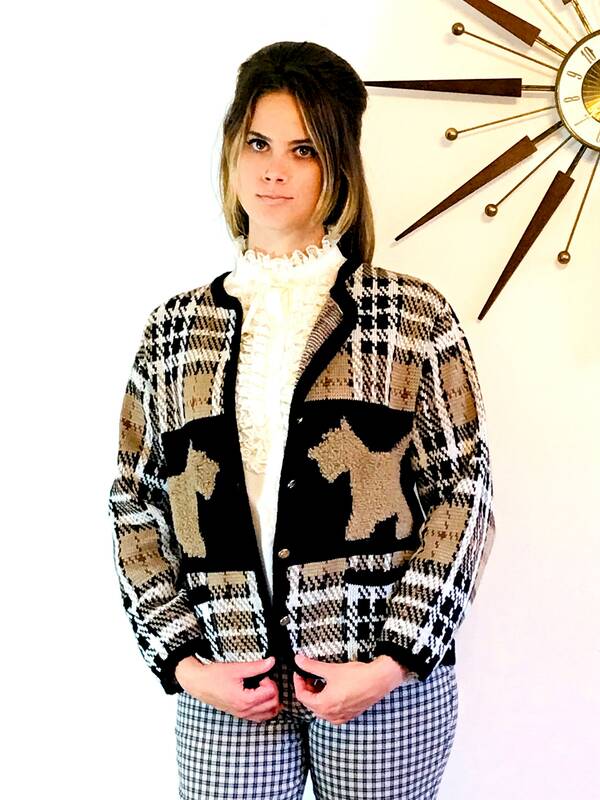 This vintage late 1950s, early 1960s cardigan is brown, black and white plaid with cute shaggy Scotty dogs on it! 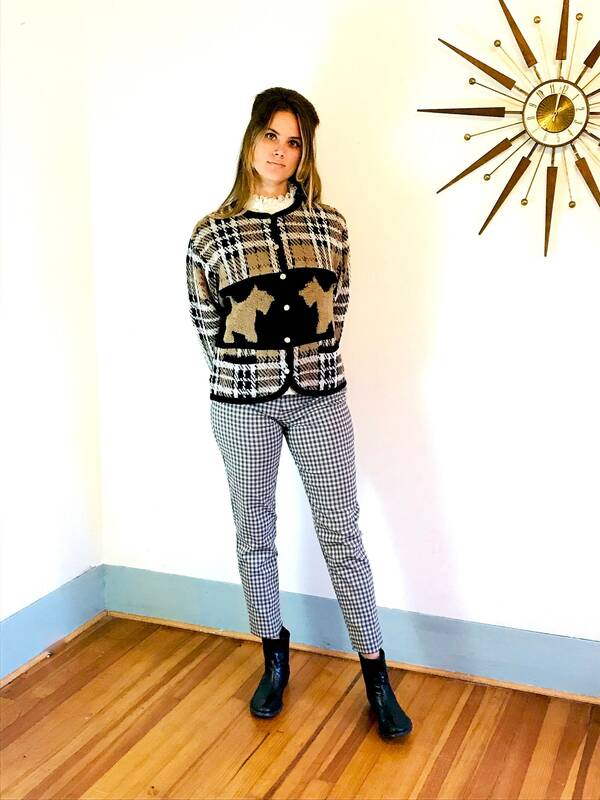 This retro Tally-Ho button down sweater is so fun and perfect gift for the doggie lover in your life! 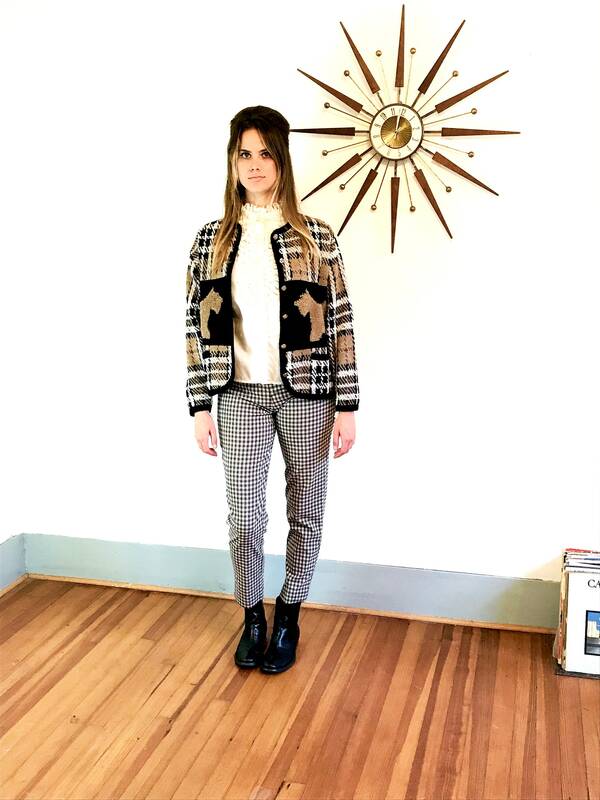 This Retro late 50s early 60s sweater is just too cute! The Scotty dogs are textured and puffy like a rug! 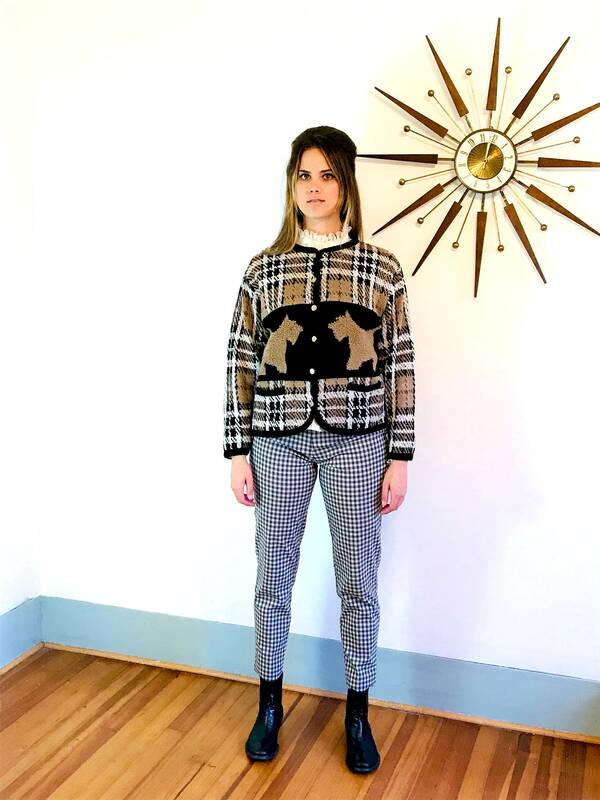 This lovely preppy Scottish tartan print jumper has pretty stamped metal buttons down the front. 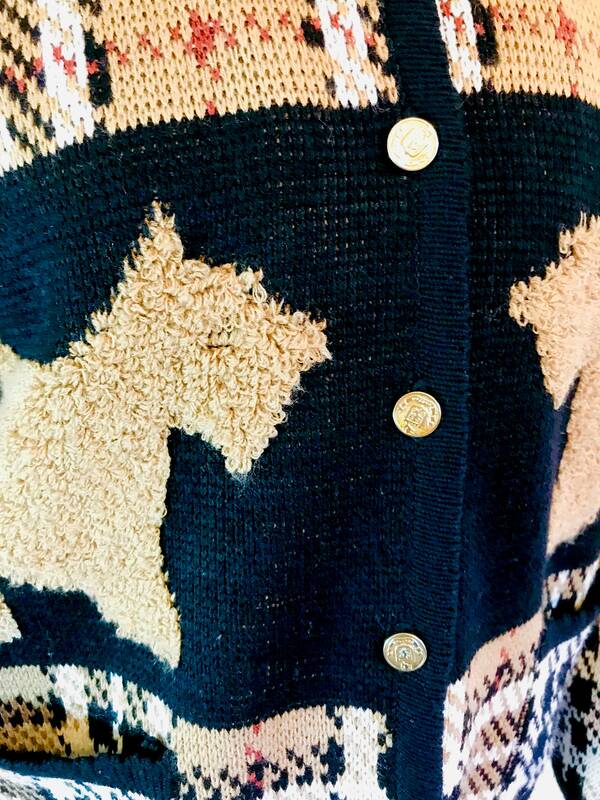 Just imagine all the complements and conversations you will have wearing this cardigan! 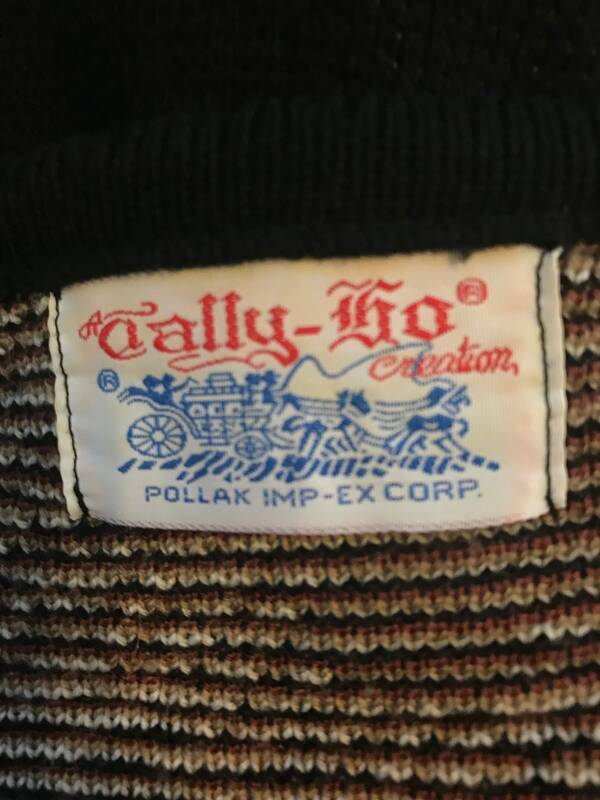 And you will know you are the only one on earth who owns this sweater! To have a one of a kind... that is the magic of Vintage! Model Measurements: bust:34", waist:28", hips:40" height:5'10"
CONDITION: Very good! Slight fading.